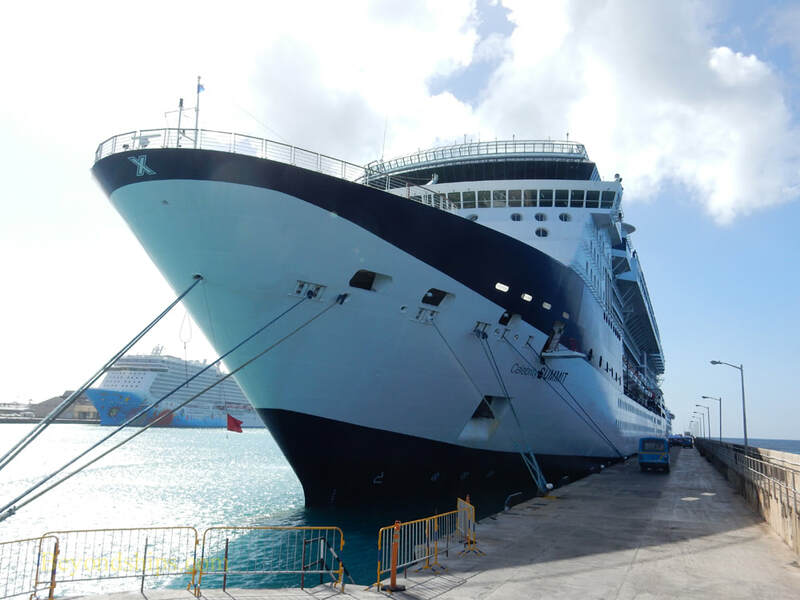 Seeing that its existing cruise facilities were not going to be able to handle the new large cruise ships that were coming into service, Bermuda began to transform the old Royal Naval Dockyard into a cruise port in the 1990s. 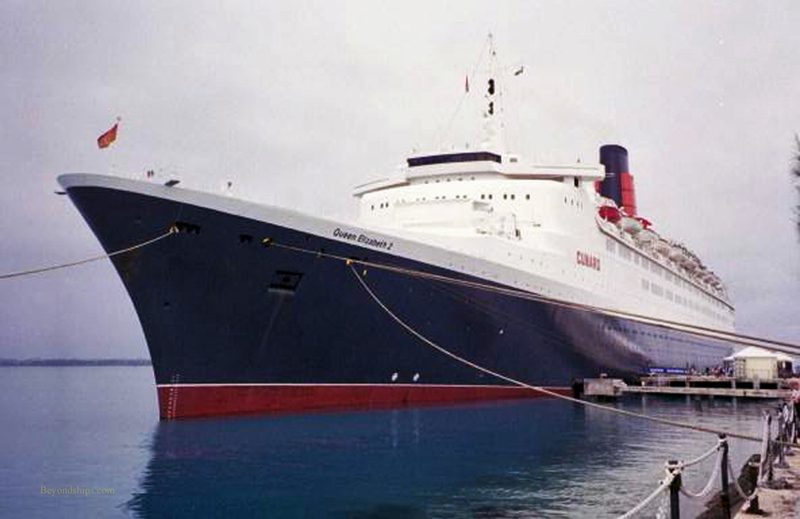 When this facility opened, QE2 no longer had to anchor in the Great Sound. 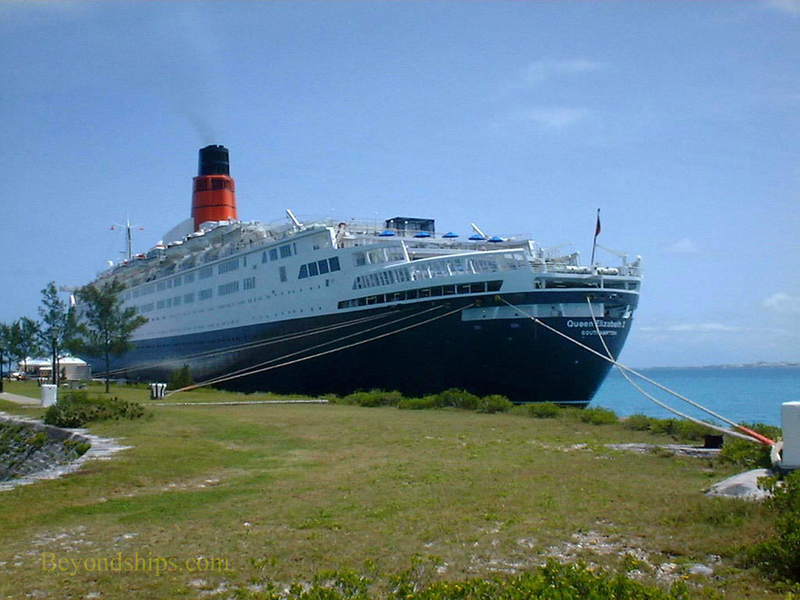 Passengers could walk ashore rather than be tendered ashore. Of course, a boat ride was still required to get from the Dockyards to Hamilton. 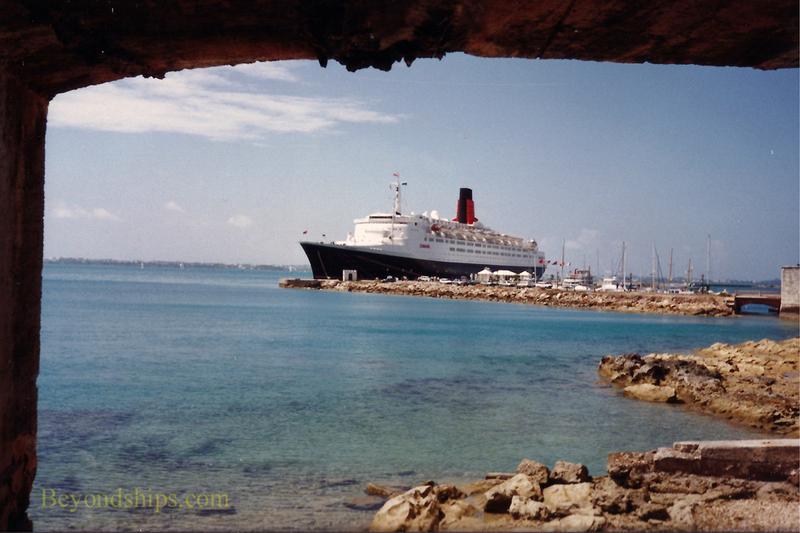 For the crew, it was a definite plus as they could now easily use the bars and cafes of the Dockyard during overnights in Bermuda. 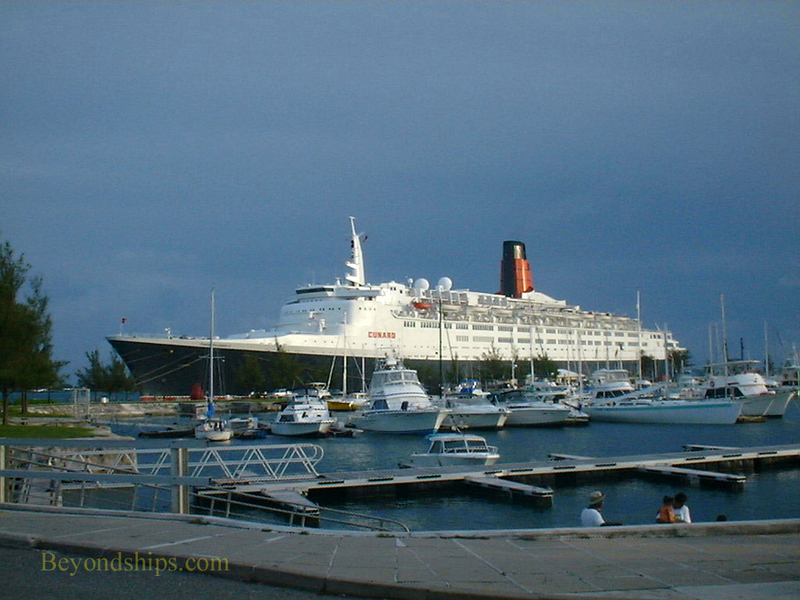 Ships calling at The Dockyards, then as now, shared the facilities with small craft. 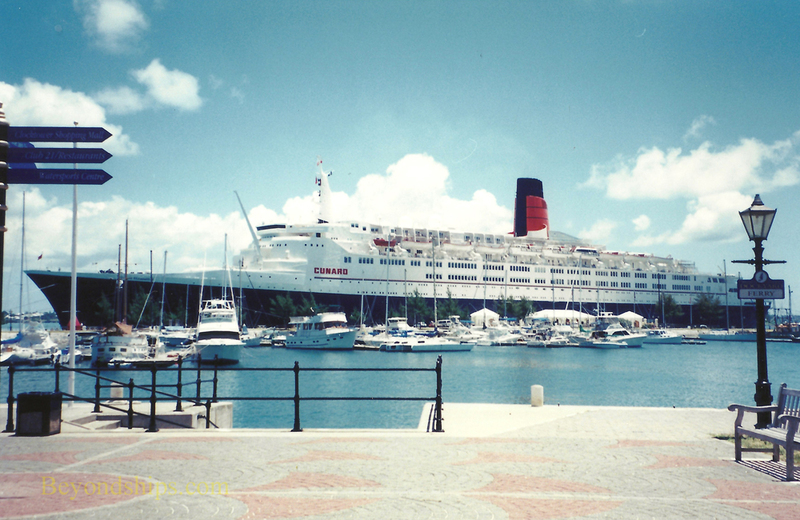 When QE2 first arrived at the Dockyards, there was only one cruise ship berth - - King's Wharf. Heritage Wharf ws still several years in the future.